Hydrasun, a supplier of integrated fluid transfer, power and control products to the energy industry has announced the launch of a new company and associated office and workshop facilities in the Middle East. 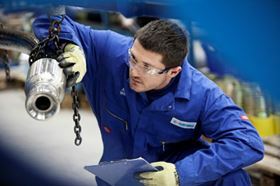 Hydrasun FZE, based in Dubai, UAE, has been formed to support the company’s growing number of customers in the Middle East. The new 1000 m2 facility will establish a permanent presence in the region supplying Hydrasun’s complete range of products and added value services as well as facilitating the pursuit of new business opportunities. Recent significant contract awards in the region include a £1.5million contract for Instrument tubing and Hose Assemblies for the Barzan Project in Qatar, a long-term supply agreement worth approximately £500k per annum with a leading oil services contractor in Dubai. Weir Oil & Gas has named Ronan Le Gloahec as managing director EMEA region. German pump manufacturer Wilo SE is to build a local facility in Dubai’s Jebel Ali Free Zone (JAFZA) South, in the United Arab Emirates.